Ten years since its last update, the Embassy Suites by Hilton Seattle North Lynnwood needed a refresh. 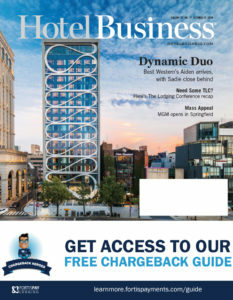 Completed in May of this year, the hotel is now making its mark as one of the premier properties in the Lynnwood market. 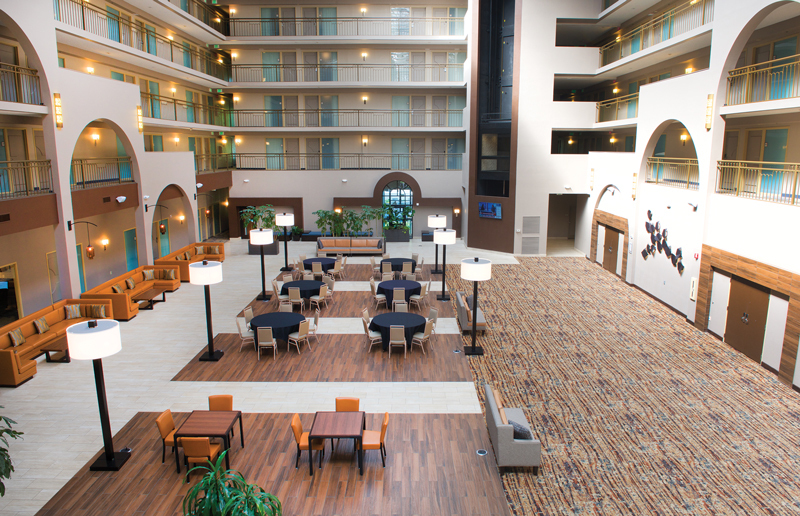 Managed by Spire Hospitality, the renovated hotel property has an upgraded atrium, common spaces, a rebranded restaurant and bar, and updated amenities. “Poised in the North Seattle/Lynnwood neighborhood, this Embassy Suites by Hilton property draws both corporate and leisure travelers,” said Chris Russell, CEO of Spire Hospitality. With some outdated brand standards, property management knew it was time for a new look, especially with its big city draw. “We wanted a more contemporary, cleaner look. 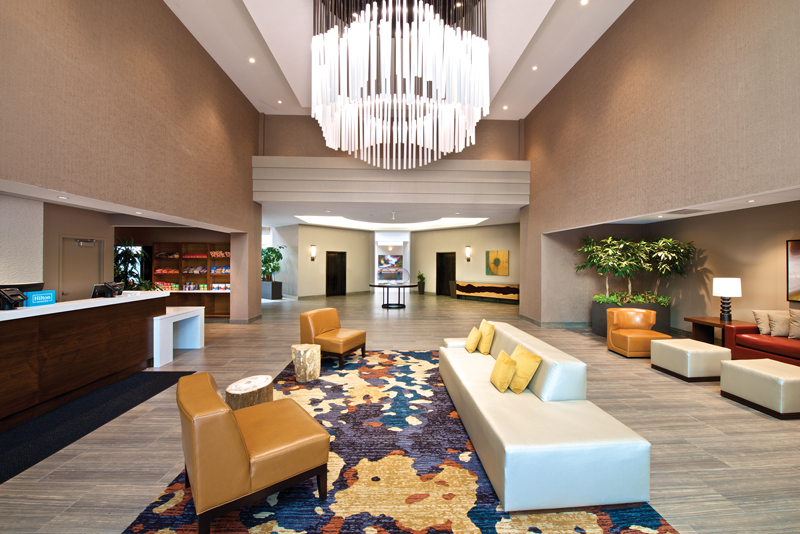 Gone are the old-style rockery and streams and waterfalls that the old Embassy Suites design used to have, replaced with a sleeker and professional atrium space,” said Rachel Blake, GM of Embassy Suites by Hilton Seattle North Lynnwood. The atrium and its 25-ft. water feature are what sets the property apart and makes for a modern and inviting backdrop for events, from business meetings to wedding receptions to parties, allowing the hotel to expand its booking capabilities. The property recently hosted the largest event in the hotel’s history—a breakfast for 525 guests. Blake explained that the water feature in the atrium helps insulate noise, which is especially helpful for large business-related events. In addition to the sleeker space, the property also replaced its entire internet network with a high-speed WiFi solution to accommodate these types of guests. But today, discerning travelers are expecting much more than the standard amenities. The hotel has made a conscious effort to also incorporate sustainable or “green” features into the new design, making it easy for travelers to monitor energy usage. But the hotel didn’t forget about the leisure guest. 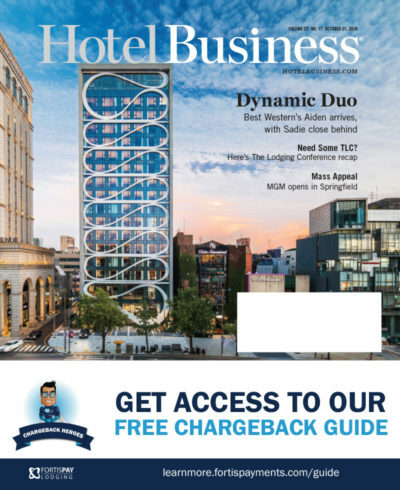 Located just outside of Seattle with access to downtown, the hotel sees tourists from all over the globe, Blake said—guests who expect modern hotel design. The pool and fitness center were updated, with the latter now including yoga and Crossfit equipment. There was also a complete rebranding of the hotel’s restaurant—formerly Cascades Bar and Grill; it is now the new and simpler Cascades. “We did a whole brand change; we went from an Irish pub concept to a more modern restaurant from a design and food standpoint,” Blake said. “Our management and leadership teams worked together with the designer to create an inviting space to unwind. From the impressive 25-ft. water feature in the atrium to the relaxing palette of the suites, the modern transformation elevates the property to meet the needs of all guests,” Russell said.